Whether you live or vacation in tropical regions or think flamingos mean "party time," this design is perfect for anyone who delights in the unconventional, the whimsical, and the amusing! 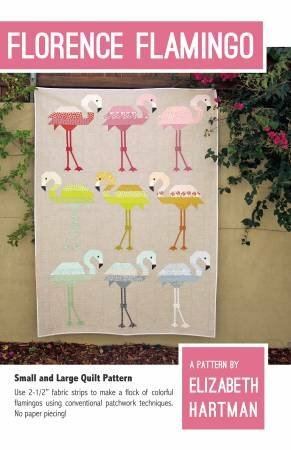 Use conventional patchwork techniques to make these charming large-scale flamingo blocks for your next project. The pattern includes instructions for making either a large or a small quilt using only two blocks. Two Quilt Sizes: 45" x 45"